Bright Little Pixel is a website and content creation company run by Charlotte Squire, who helps businesses to establish their online presence through design, copy, image sourcing and website management. With Charlotte working directly with her clients I knew I wanted this brand design to be personal with a bright persona and character to help it distinguish itself from the plethora of corporate and faceless website creation businesses out there. 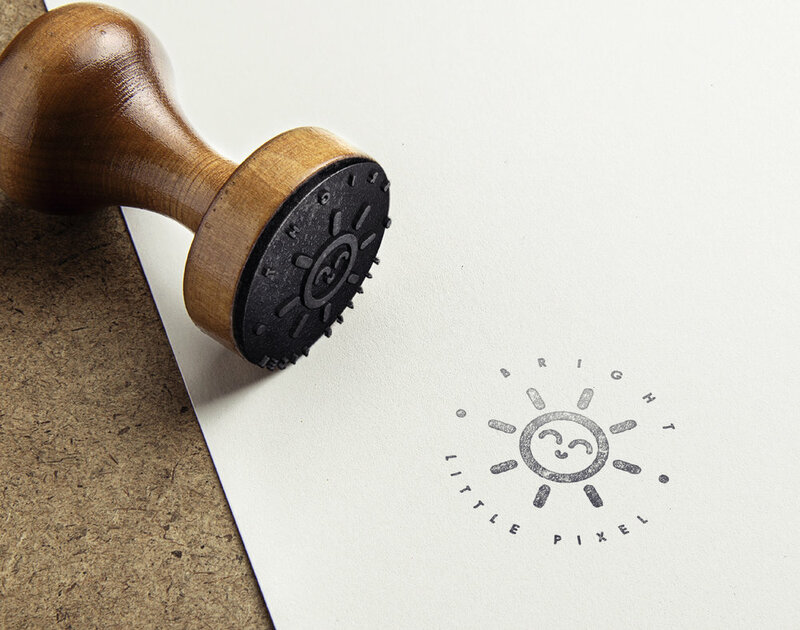 The kawaii character was drawn from Charlottes personal taste to help connect the brand styling to herself, and the bright sun design connects it to digital design with it reflecting both a sun and the brightness button found on keyboards. Some of the concepts that didn’t make it into fruition and are now members of the logo graveyard. Our connotations with a pixel are instantly drawn towards squares and precision. This concepts utilises those perceptions of pixels and creates a more stylised and fashionable take on the pixel concept. In a similar vain to the sun character the laptop character becomes the Bright Little Pixel face and offers personality to the brand. It would work great as laptop stickers and other merchandise.